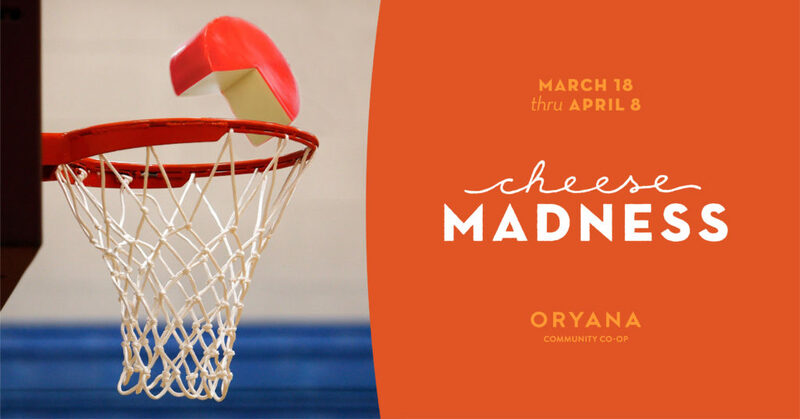 With a thrilling conclusion, Oryana’s first ever Cheese Madness Challenge has officially ended and we are thrilled to announce the official Fromage Final Winner as Leelanau Cheese Raclette! Although many of our match-ups were close, we have to say that we aren’t surprised that this hand-crafted, local, artisan cheese stole the championship. Read more about Leelanau Cheese and craftsmen John and Anne at their website leelanaucheese.com. 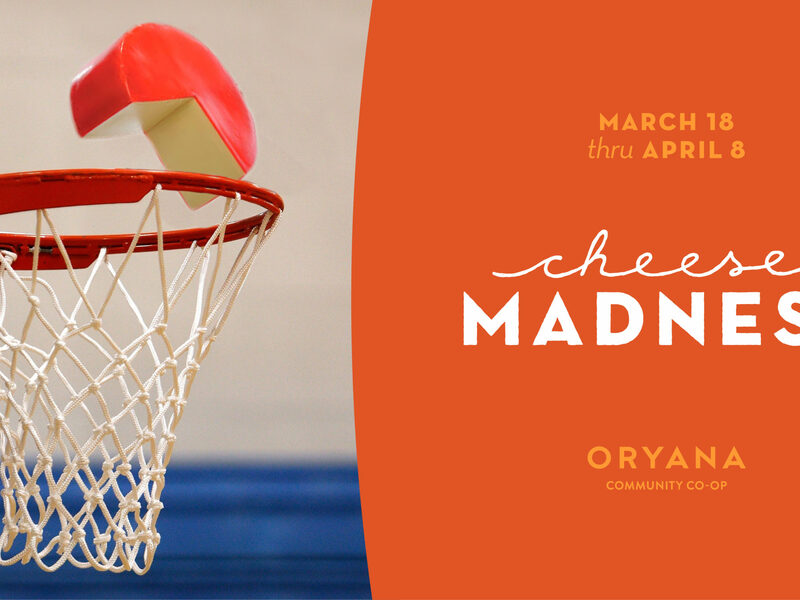 And, of course, you can experience the win for yourself by purchasing their Raclette at Oryana. Picking a nearly perfect bracket (only missing 2 round picks in her entire bracket), Rachel Wood is our official Cheese Madness Bracket Challenge Winner! Rachel will be going home with a prize package including 1 lb each of the Edible Eight cheeses. Congratulations Rachel – stay cheesy!